Hardcover, 9.5 x 10.5 in. / 256 pgs / 120 color. One can only look at Holland on Paper with admiration and pleasure. Ackley has selected highlights, which are beautifully reproduced with clear and relevant explanations. Text by Clifford S. Ackley. 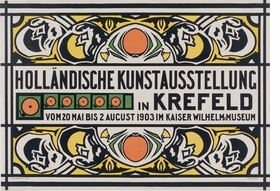 From the 1890s through the turn of the century, there was a flourishing of new, imaginative art and craft throughout Europe that we now know as Art Nouveau. The Netherlands experienced an inventive variant of this art and design phenomenon, but until now it has been largely overshadowed by its counterparts in other countries, especially France. 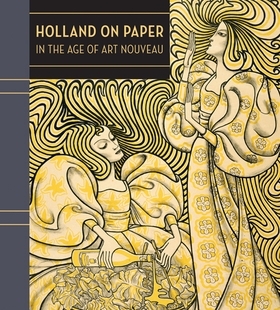 This richly illustrated book is the first in English to celebrate the Dutch contribution to Art Nouveau through a tour of more than 100 works on paper--posters, decorative calendars and illustrated books, as well as prints and drawings. These innovative works of graphic design reveal the progressive Dutch artists’ conscious reaction against the past, their inspiration in natural forms and exotic cultures, and their embrace of the principle that art should transform everyday life. They also show how the New Art--Nieuwe Kunst in Dutch--coexisted and sometimes intertwined in the Netherlands with other artistic strands, including persistent realist trends, Symbolism and the emergence of modernism. Included here are early drawings by well-known artists Vincent van Gogh and Bart van der Leck, as well as new discoveries from Jan Toorop, Theo Nieuwenhuis, Samuel Jessurun de Mesquita, Theo Hoytema, G. W. Dijsselhof and C. A. Lion Cachet. This beautifully illustrated book is the first in English to celebrate the Dutch contribution to Art Nouveau through a tour of over one hundred posters, decorative calendars, and illustrated books, as well as prints and drawings. With text by Clifford S. Ackley, one of the leading specialists on Dutch prints and drawings, Holland on Paper in the Age of Art Nouveau provides a fascinating and visually rewarding introduction to a rich and creative artistic era. Winner of the IDPF Book Award. a visual compendium that is astonishing to the newcomer and affirming of the period’s variety and depth to the initiated…. Completing this beautiful and useful addition to existing literature are a glossary of printmaking techniques, a short essay on Dutch printmaking and printmakers from the period, and an excellent bibliography. 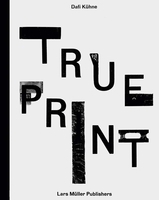 It is relevant to both the matter of the book and to Art in Print to note that the book design by Susan Marsh is both aesthetically pleasing and fitting to the subject. FORMAT: Hbk, 9.5 x 10.5 in. / 256 pgs / 120 color.